Sapeurs, Firenze Luzolo, 26, Guy Matondo, who also refers to himself as "The Chinese from China," and Ukonda Pangi, 22, strike a pose at Parc de Prince in Kinshasa. 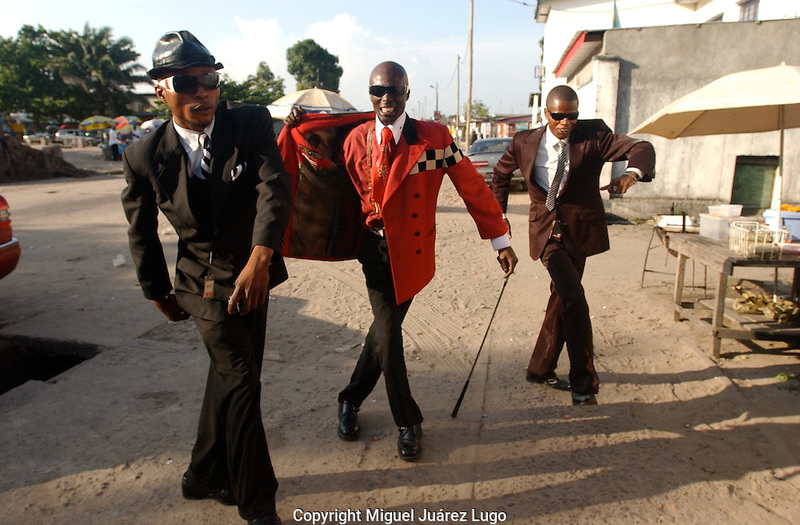 Sapeurs from D.R. Congo, Congo Brazzaville and Europe gathered in Congo's capital, hoping to revive Kinshasa's sapeur tradition by pushing for an International Day to recognize sapeurs, who embrace the art of dressing well, and expensively. (PHOTO: MIGUEL JUAREZ LUGO).